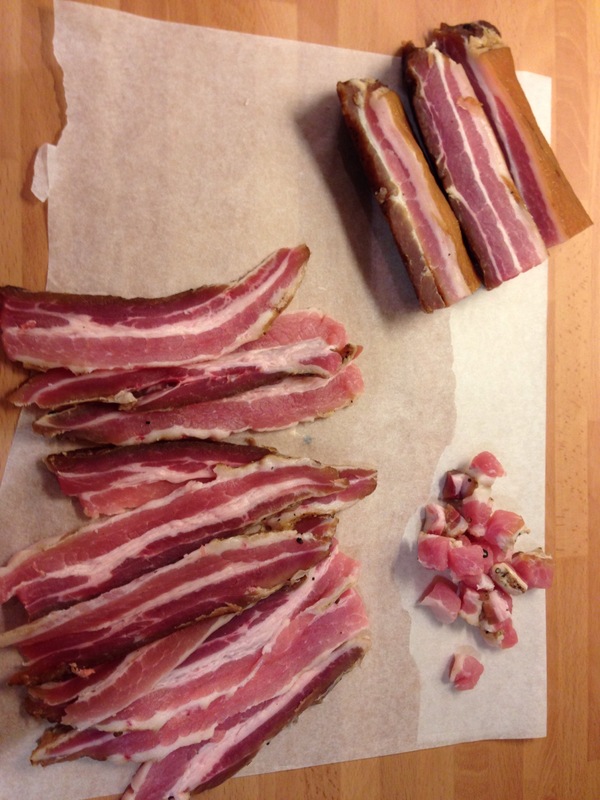 Making Bacon……. Not a reference to Pass The Pigs game! Taking inspiration from Salt, Sugar, Smoke again I got around to curing some bacon this week. 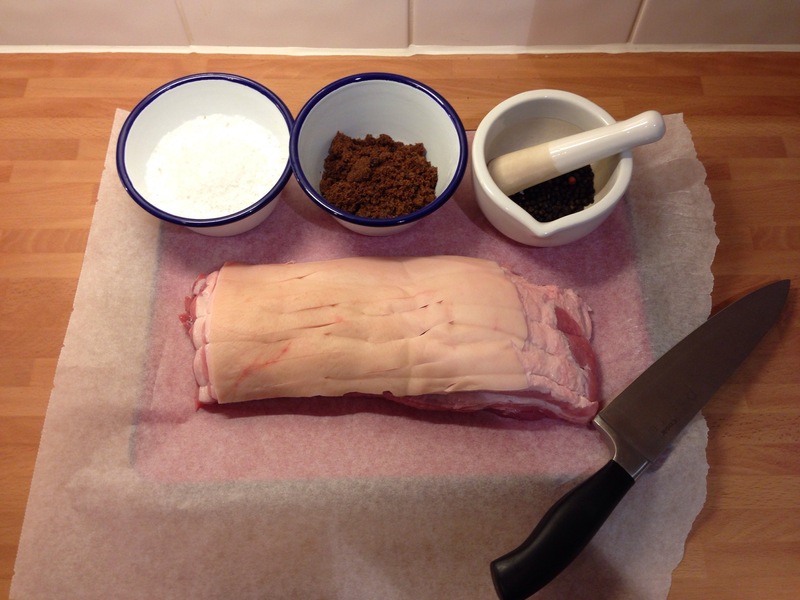 I cured the Pork Belly in a salt, sugar and juniper mixture for four days. Removing the liquid as it drew out from the meat and reapplying cure to make sure the meat was covered. Then I let it dry for a day. The result was pretty good although maybe a touch salty. I think further experimentation will be required to perfect the cure and use of flavourings. I’ll report back! This entry was posted on November 10, 2014 by paulb in DIY Food, Meat, Preserving.